Facebook page is also known as facebook business page. When you create an account with facebook, you have a facebook profile but you do not have a facebook page. Let’s get started on how to create a facebook page. First you must have a facebook personal profile created. Log into facebook. Please note that your personal information will not be displayed on the facebook page you are about to create unless you choose to. Click on the blue drop-down arrow on the upper-right corner of your facebook and choose create page. You can choose one of six types of pages. Don’t worry if you are not sure which type of page is suitable for you. You can always change the type of page later in your facebook settings anytime after you created your page. For this tutorial I will choose the seconed type: Company, Organization or Institution. 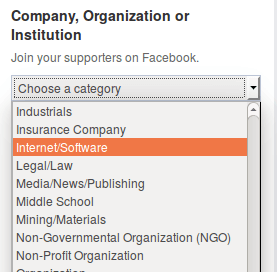 And in the category select Internet/Software. For company name you can enter your domain name like linuxbabe.com. and make sure you read facebook page terms. After you have done that click on get started. Then do the initial setting for your Facebook page. Add a few sentences to tell people what your page is all about. and enter your domain. After that click on Save Info. In the second setting, upload a logo/avatar for your Facebook Page. Then add your Page to your favorites to easily access it anytime. The final step is choosing your preferred page audience. You can skip this step. After that click on the Save button and you have successfully created a Facebook Page! Make sure you like your own page! Facebook page username is also known as Facebook web address or Facebook vanity URL. 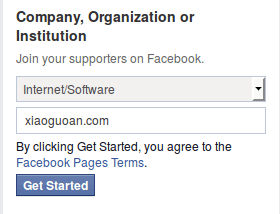 Go to facebook’s username page https://www.facebook.com/username. In this page you can set a username for your profile and a username for your page. You can change your page’s username only once. Sometimes it’s required that your Facebook page has more than 25 likes in order to set a username for your page. Luckily in my case I can set a username for my page with only 1 like. After you have set your username, you can give the following URL to your audience so they can like your page. You really can’t get away from spammers these days and you will hate spammers use your Facebook page to promote their business by placing links to their sites on your page. In your Facebook page, go to Settings > General > Page Moderation. Put the following text in the text field. Separate them with commas. Save your changes. The more information you enter in your page info, the more likely your page will be displayed on search engine results. In your Facebook page, click on the About button to complete your page info. So you want to fill out start date, put your business address, fill out the description, write a long description. Give as much information as possible. 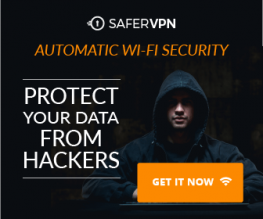 Definitely add a phone number and email and a website. This is going to help optimize your page. So when people are searching for you, they are able to find you very easily. The next step is to create a Facebook cover photo. There’s a free and great online tool called fotojet to help you create excellent cover photos. Just go to www.fotojet.com. Signup and Login and click on Make Collage button. It’s totally free. It also can be used to create Google plus cover, Twitter covers, Youtube banner among many others. They have pre-sized templates. Pretty freaking cool ! Another useful tool is Canva, which is a simple, drag-and-drop, design software that’s completely online and free to use. Canva makes it very easy to create amazing Facebook cover photo.